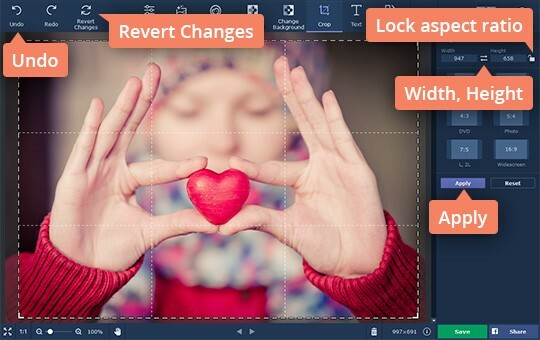 Need an easy way to crop pictures? Often, we don't have enough time to plan the composition of a photograph while shooting (especially when we're in a hurry). It’s only later you realize some of the pics leave a lot to be desired: perhaps the main element is too small and distant, or there’s too much background full of unnecessary details. Cropping out the excess background is the easiest way to improve the composition and make your photos look their best. You don’t need to study comprehensive picture editing software if you just need to crop a photo. 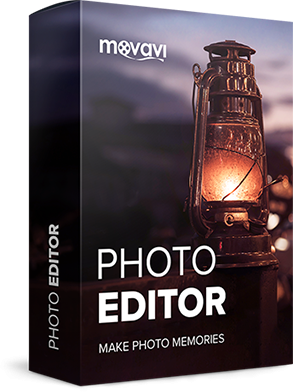 The best way is to try a simple yet powerful tool like Movavi Photo Editor. 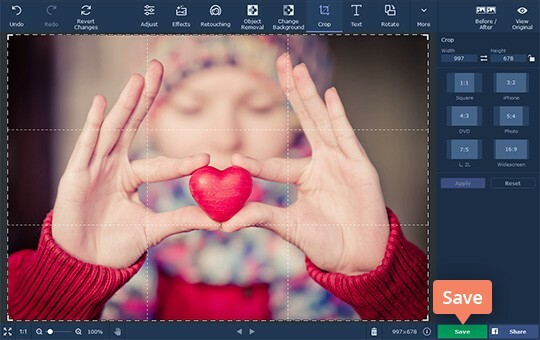 You can use this handy app as a photo cropper for a variety of purposes: cut out certain picture elements, zoom in on the main focus of the image, make passport-size photos, and more. 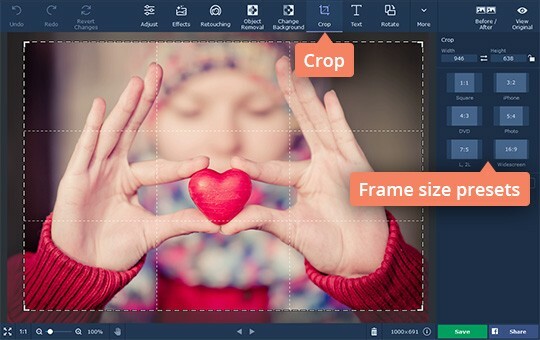 Just download the appropriate version of the program – for Windows or Mac – and read the following step-by-step guide to learn how to crop photos. After downloading the installation file from our website, double-click on it to start the installation process. Follow the on-screen instructions. 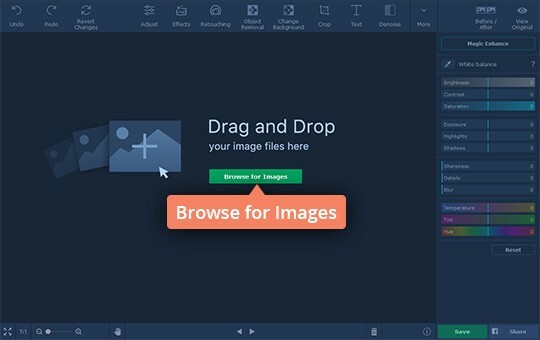 Click the Browse for Images button to open the file you’re going to work with. Alternatively, you can simply drag-and-drop it into the working area. Once the image has been added, click the Crop button at the top of the program interface. The dotted line frame shows the area of the picture that will be cropped. 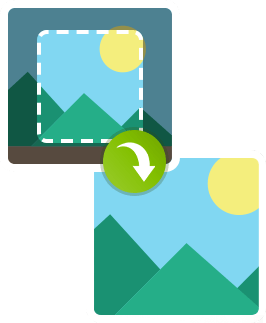 To change the size of the frame, just drag the appropriate edges of the frame. Move the frame over the picture until you’re happy with the proposed final image. You can also choose one of the preset proportions for the crop frame: Square (1:1), iPhone (3:2), DVD (4:3), Widescreen (16:9), and more. If every pixel counts, you can specify the crop frame size manually – just enter the desired number of pixels into the Width and Height fields. To maintain the selected proportions, click Lock aspect ratio. When you’ve marked the required frame area, click Apply to see how the cropped image will look. To start over, just click the Undo button. And remember that you can always undo the changes by clicking the Revert Changes button. To save the finished picture, click the Save button in the lower right corner and specify the destination folder, filename, and format. You can save your picture in JPEG, PNG, TIFF, BMP, or any other popular image format.